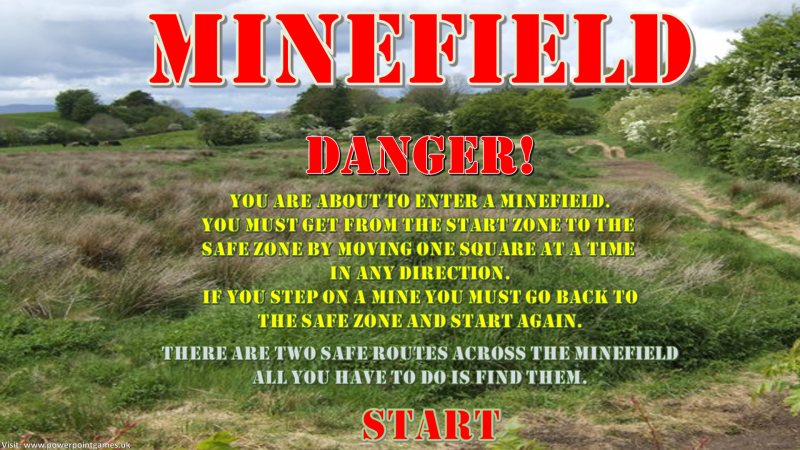 DANGER – Minefield! Cross this minefield one square at a time and remember where the explosions come from. 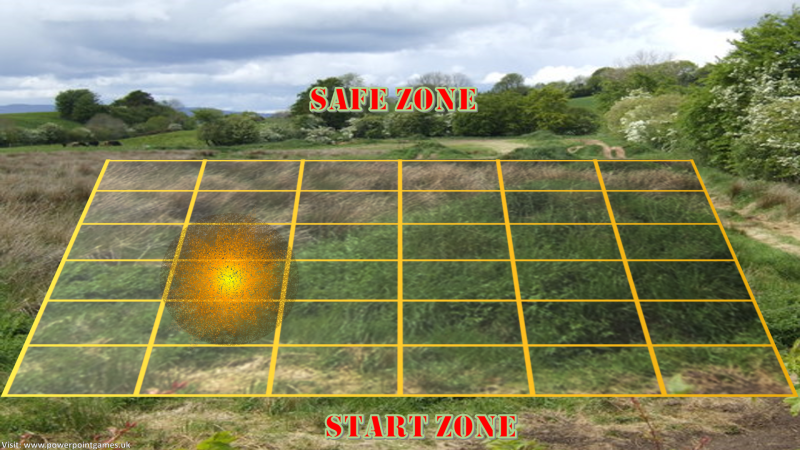 There are only two routes to get you into the safe zone. 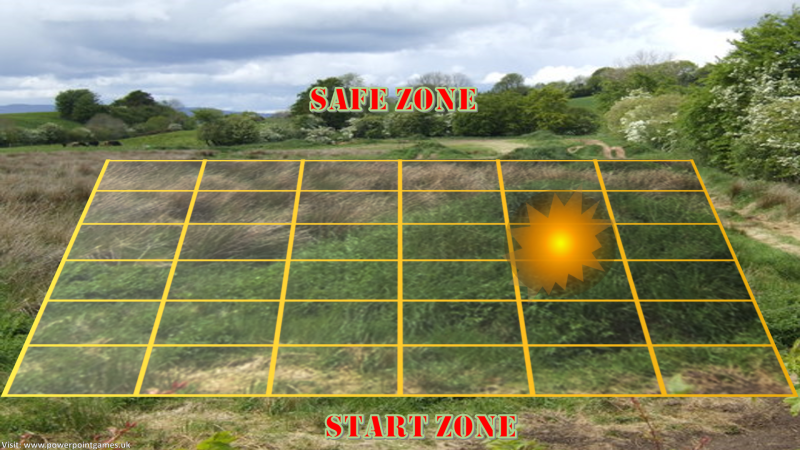 Can you find them and cross the minefield without any explosions – both ways?